Mezcal Versus Tequila: What’s the Difference? Many people have been fooled by myths or marketing tactics that aren’t necessarily true. Some people believe that mezcal and tequila are the same thing, which is not technically a fact. We are here to break the myth about mezcal and tequila. It’s time to put your alcohol knowledge to the test! 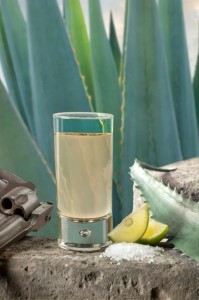 The following article by examiner.com explains what the true differences are between mezcal and tequila and what makes them each special. Tequila never (ever!) has a worm in the bottle. Now that a few things are cleared up, you can now explain the differences between mezcal and tequila to anyone who is befuddled by the two. If you still are baffled, just try them! The unparalleled flavors will definitely speak for themselves. And if you ever want a delicious refreshing drink made with either mezcal or tequila, come down to (insert name of restaurant) and we’ll be more than happy to make you one! Remember, it’s always five-o’clock somewhere!